Under the Massachusetts workers’ compensation system, you are supposed to be protected by insurance if you are hurt or get sick on the job. All employers are required to procure insurance coverage that will pay for reasonable, necessary medical treatment, as well as compensate for lost wages after the first five calendar days of an employee's disability. Although the system is supposed to be easier to navigate than the civil litigation system, in practice insurers may deny valid workers' compensation claims. A denial of your claim may require you to appeal the decision through the Department of Industrial Accidents (DIA), which administers the system. One step of the process may require an injured employee to appeal a temporary conference order. The Boston workers’ compensation lawyers at Pulgini & Norton can help you navigate through an appeal and address any issues that may arise. After the first step of the dispute resolution process, which is conciliation, the case is referred to a conference. Like the first step, the conference is an informal proceeding. However, it does take place in front of an administrative law judge. There are 21 administrative law judges who preside over disputed claims. The conference is your first chance to present your case to a judge, and the same judge is likely to hear your case in a formal proceeding as well, so it can be important to put your best foot forward. In most cases, this means you should retain a lawyer to present the strongest possible arguments. The conference takes place 8-12 weeks after the conciliation. At the conference, your attorney will present a brief oral argument and submit your documents. The documents may include affidavits from witnesses, wage statements, and medical reports. These proceedings do not involve formal evidence. You will not have witnesses testifying on your behalf at the conference, although you can indicate what witnesses will say. At the conference, you will need to show that you are disabled, that your illness or injury is work-related, and that any medical bills in dispute were for reasonable and necessary medical treatment. In some cases, it is possible for a claimant and an insurer to reach an agreement before the conclusion of the conference, but often the proceedings culminate in a temporary conference order by the judge that addresses your right to workers' compensation benefits. Either the judge will tell the insurer to pay specific benefits, or the judge will tell the insurer it does not need to pay benefits. 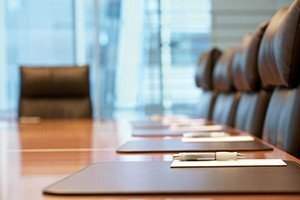 Either you or the insurer may appeal the temporary conference order using an Appeal of a Conference Proceeding, which is Form 121, within 14 days from the order date. You will have to pay a fee if the appeal arises from a medical issue, and an impartial physician uses this fee for an evaluation. In cases of indigence, a waiver is possible. If there is an appeal, the case moves on to the formal hearing stage. The contested issues are supposed to be heard without regard to what happened at the conference, or de novo. Unlike the conference, the hearing ends with a formal hearing decision that includes factual findings and legal rulings. At Pulgini & Norton, our Boston workers’ compensation attorneys can represent you throughout all steps of your claim, including an appeal of a temporary conference order. We also advise and represent injured individuals in Waltham, Brookline, New Bedford, and other cities in Massachusetts. Call us at 781-843-2200 or contact us via our online form for a free consultation with a workplace accident attorney.